The river level is low for this time of the year, but could be worse. 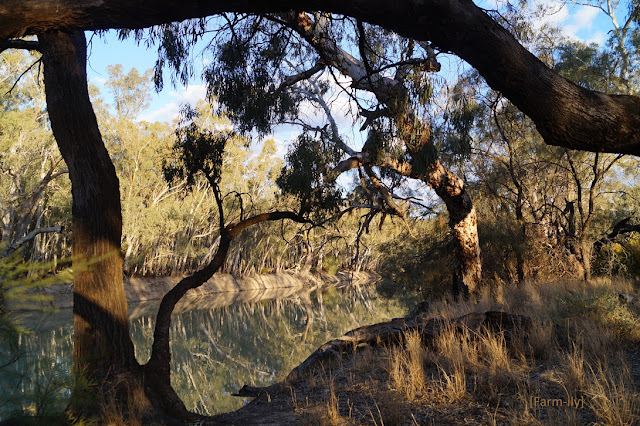 My step mother's parents lived on the banks of the Murrumbidgee in Darlington Point and I remember it well in my youth. There was a lagoon next to their house.......what is the Australian word? Not a backwash. It will come to me. Billabong. There was a series of them. Pretty good photo. I love the inland rivers, makes we want to get the caravan and go for a drive. A great place to sit and get lost in thought.